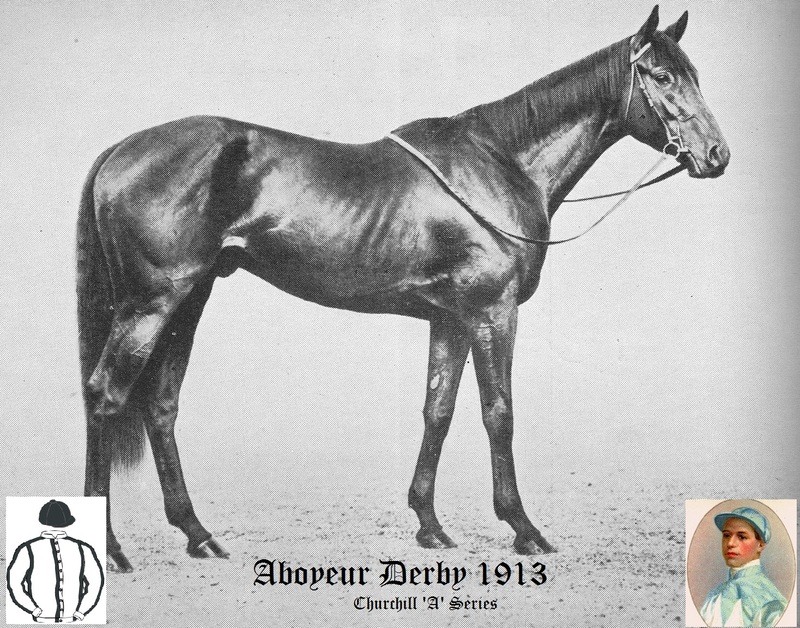 This was run in 1913 and the winner was bred by Mr Tom Laidlaw and trained by Tom Lewis at Netheravon, although Craganour was first passed the post, winning by a head, but was disqualified.. There were 15 runners from an initial entry of 344. There was a neck between second and third. The winning time was 2 mins 37.6 secs. The winner won a first prize of £6,450, (The equivalent of £707,600 in today's terms based on Bank of England inflation calculator). There was further controversy, apart from the disqualification of the horse that was first passed the post, when a suffragette brought down one of the horses just after Tattenham Corner. Was it coincidence that it happened to be the King's horse? Examine the evidence by clicking 'Controvesial 1913 Derby'.